2 Bdrm Grnd flr Flat. Hall. Lounge. Kitch. 2 Bdrms. Shower rm (CT band - A). Garden. Fixed price £94,000 Entry by arr. Viewing 07825 212 201 . Below Home Report Valuation (EPC band - D). 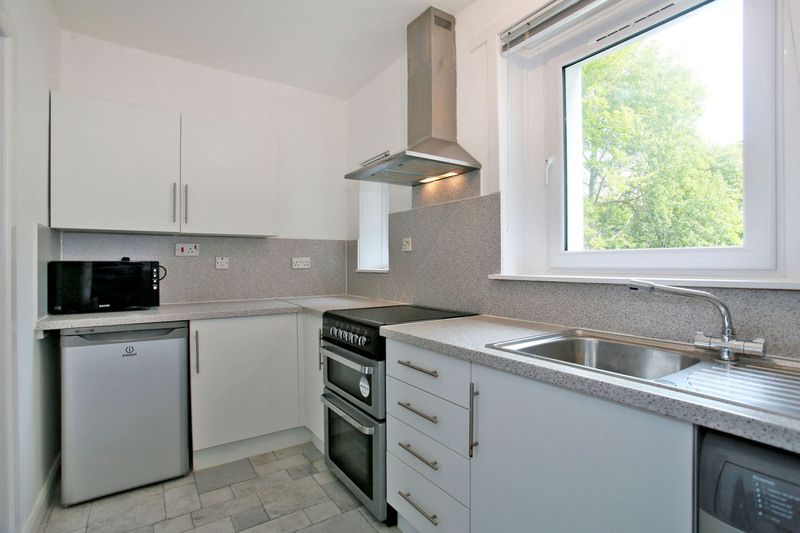 This TWO BEDROOMED GROUND FLOOR FLAT offers excellent value for money. The accommodation, which is well-proportioned throughout and all on the ground floor, comprises a large lounge with modern, recently fitted kitchen off, two good sized double bedrooms and bathroom. The building itself has recently undergone substantial upgrading. 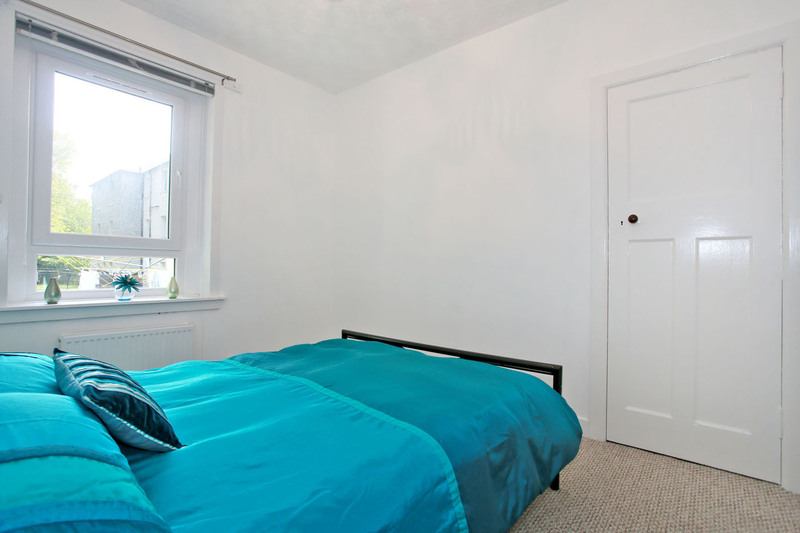 The property boasts gas central heating and double glazing as well as a security entry system. All carpets, floor coverings and curtains are included as are the kitchen appliances. 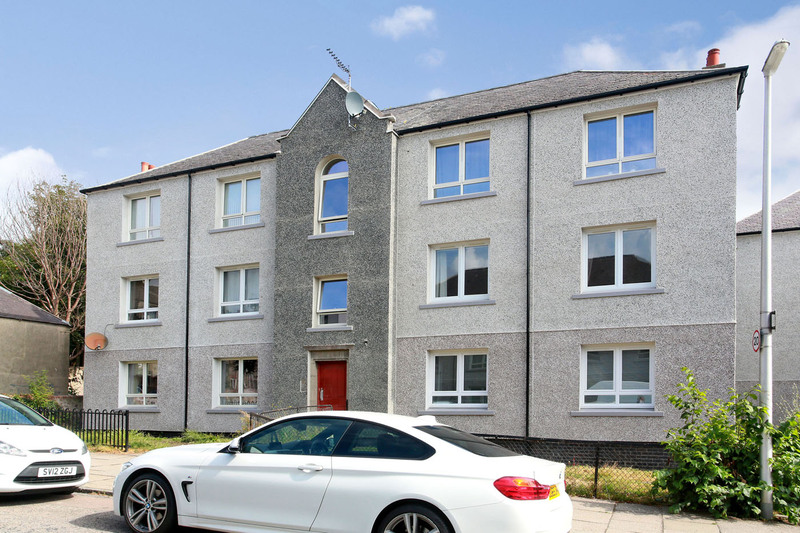 Sunnybank Place is a quiet location within easy reach of excellent shopping and public transport facilities as well as being within walking distance of the Aberdeen University campus at Old Aberdeen. Hall, Lounge, Kitchen, Two Double Bedrooms, Bathroom. Outside – Exclusive Garden Area to Front, Shared Drying Area to Rear. 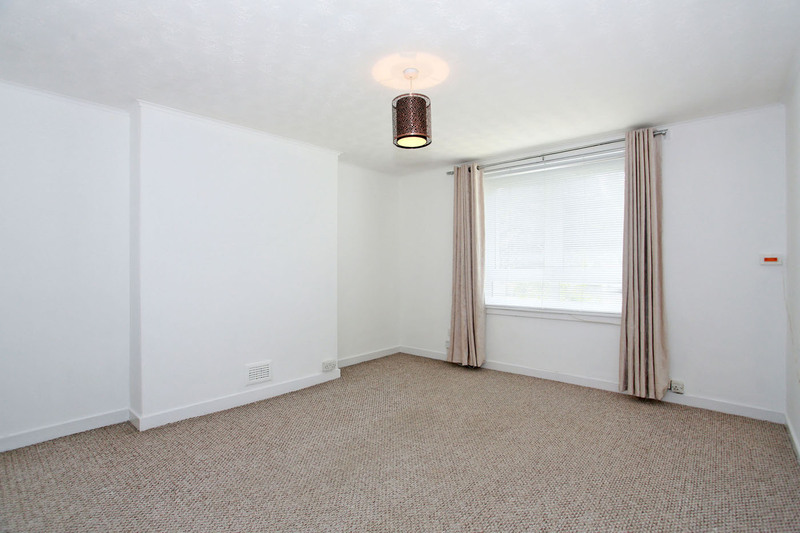 HALL Long hallway; matwell; security entry handset; high-level electric meter cupboard; carpet; radiator. LOUNGE (15’ x 12’6” (4.57m x 3.81m) (into alcoves) approx.) 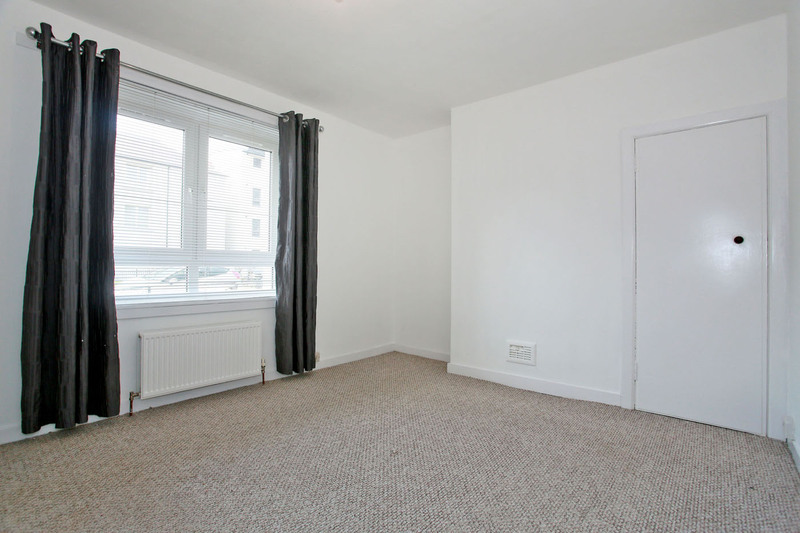 Excellent sized room with large window overlooking front garden; two alcoves; TV point; carpet; radiator; access to kitchen. KITCHEN (11’8” x 6’1” (3.56m x 1.85m) approx.) 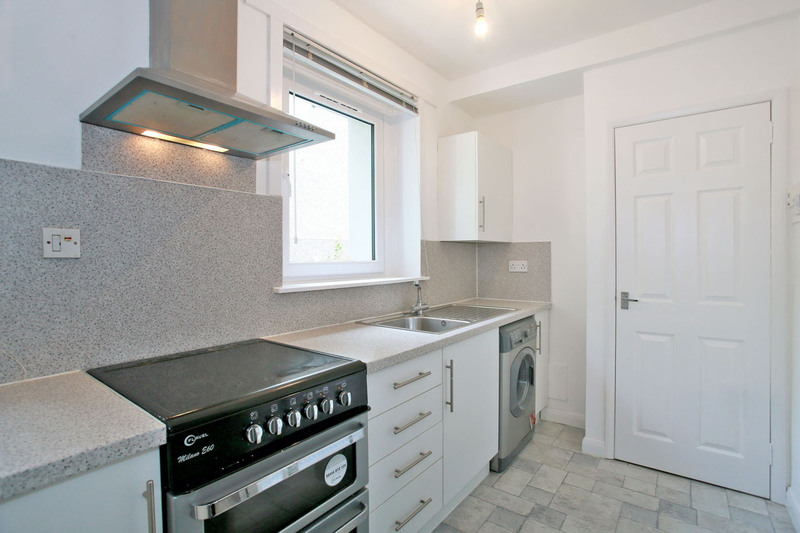 Recently fitted with a range of white units with ample worktop space and matching splashback; hob with double oven, washing machine and fridge to remain; stainless steel sink with drainer; built-in cupboard housing gas boiler; vinyl flooring. DOUBLE BEDROOM 1 (12’7” x 11’2” (3.84m x 3.40m) approx.) 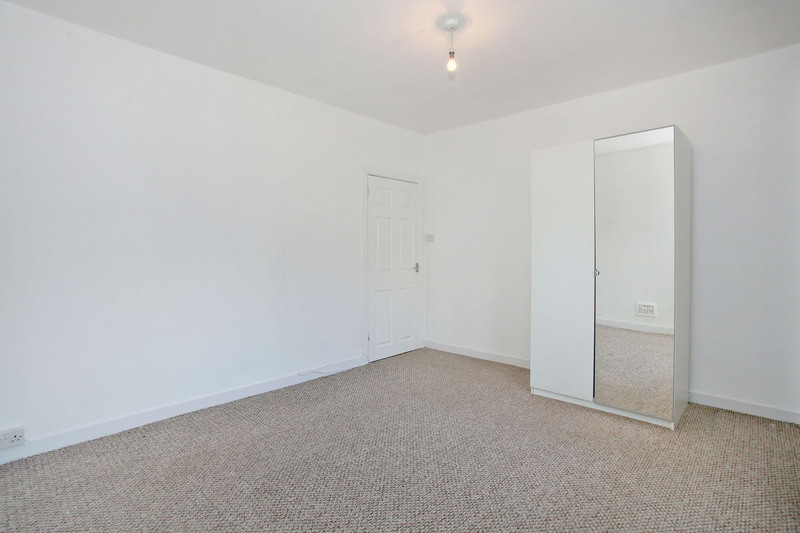 Well-proportioned room lying to front of property; built-in cupboard; carpet; radiator. DOUBLE BEDROOM 2 (10’4” x 8’10” (3.15m x 2.69m) approx.) 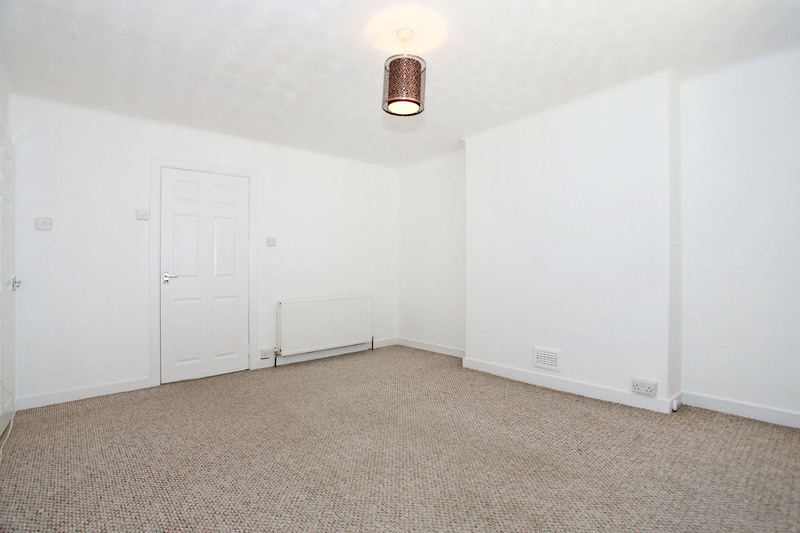 To rear of property; tumble dryer to remain; carpet; radiator. 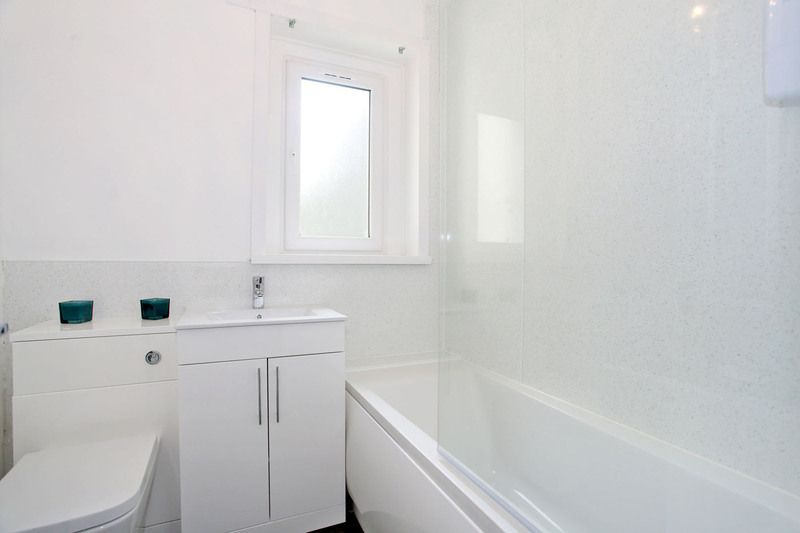 BATHROOM (6’6” x 6’2” (1.98m x 1.89m) (at widest point) approx.) 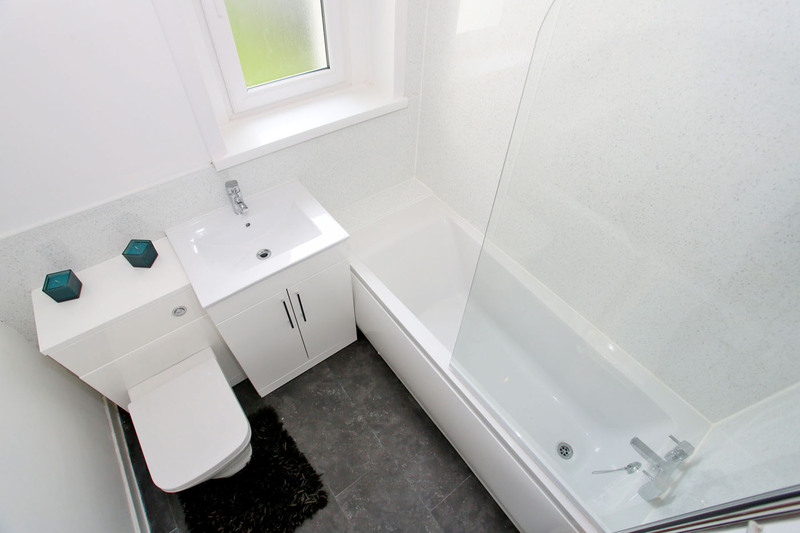 White wc and wash hand basin; shower cubicle with fitted Triton Cara electric shower; fully tiled in shower area; fittings to remain. 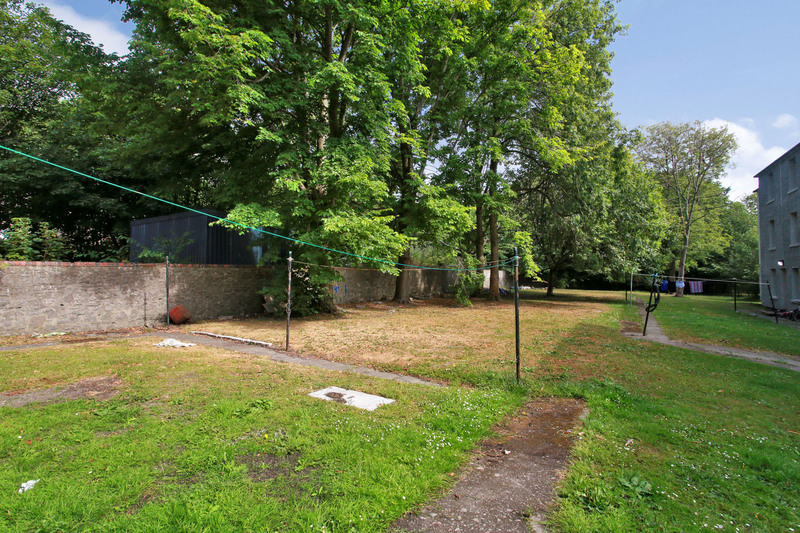 OUTSIDE Exclusive garden area to front of property; shared drying green area to rear. FEATURES 1. Gas central heating. 3. All carpets, floor coverings and curtains included. DIRECTIONS From Mounthooly roundabout exit onto Causeway End. At the traffic lights turn right onto Fraser Place and then turn left onto Canal Road over the railway bridge onto Elmbank Terrace. Take the first right onto Elmbank Road and then first left onto Sunnybank Place. No.2 is situated a short distance along on the right hand side.